More than 150 athletes from 25 regions of the country competed for the title of champion at the Russian Climbing Cup, which was held in Moscow from 6 to 10 December. Yulia Panteleeva, a USUE student, participated in a new Olympic discipline (triathlon) and brought bronze. This time there were no habitual qualifications for lead, speed, and bouldering: the selection to the finals began just from the first day. "In the triathlon, there may be only six finalists. The points are scored in three disciplines, and the less you score, the better," Yulia explained. On the first day, the athletes were qualified for speed. As a result of two routes, Yulia took the sixth position. The next day was more difficult: two qualifications at once. In the morning, the climbers competed in bouldering: they passed five routes, each in five minutes. "I climbed only four and was the seventh. In the evening of the same day, there were competitions in lead, just one On-sight route. I climbed it very easily, but fell off the top hold. As a result, I was third in the triathlon and got to the final," the student said. In the final, the athletes performed all the disciplines in a row. "First we competed in pairs. Since the finals involved six athletes, we were paired as follows: the first with the sixth climber, the second with the fifth, and so on. I went third and had to climb with an opponent who had passed the route around the same time as I had," Yulia added. Our student lost two pair races of the three. However, the most difficult, according to the climber, was bouldering, "We saw the routes in advance, and I realized that they are very difficult for me. I could take no top and took 5th place. " Yulia notes that the triathlon is a very complicated competition; you need at least once to try it for yourself to understand what is what. "This is not a place for those who have no powers of endurance, both physical and emotional," she added. As a reminder, in early October at the European Climbing Championship in Perm, for three days, athletes demonstrated their skills in difficulty and speed. Yulia Panteleeva participated in those competitions and took the third place. 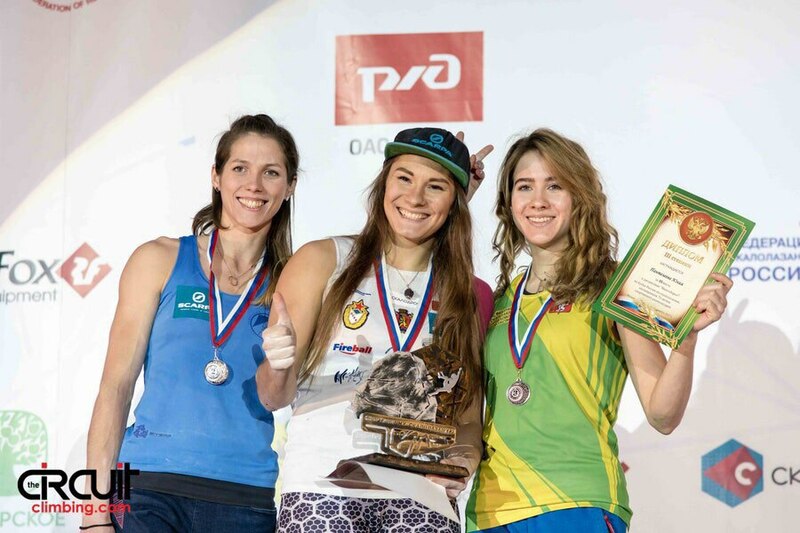 September 9, at the World Climbing Championship in the triathlon in junior and youth groups Yulia won "silver".